Overcast, mild (8ºC) and breezy. River high but clear. Newbury - 1 Grayling and a couple of gudgeon. 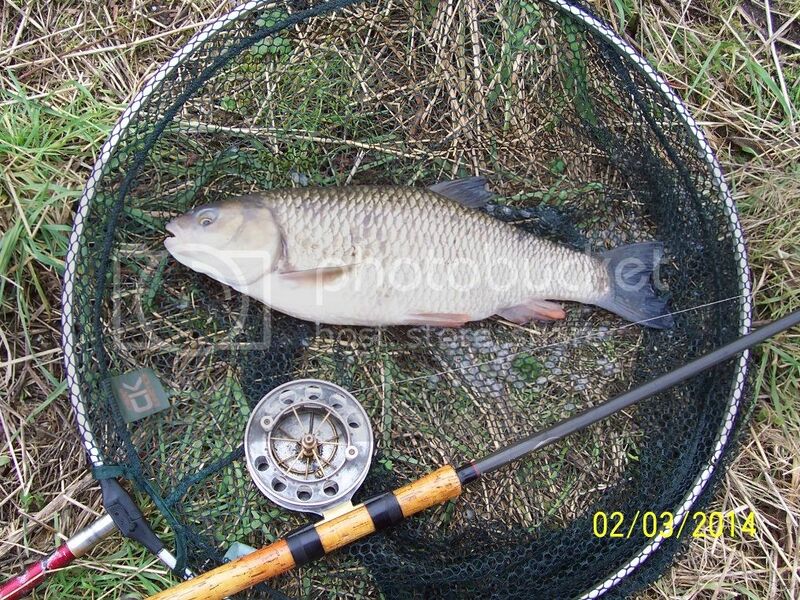 Thatcham; 2 Chub; 4lb 0oz & 3lb 6oz, 1 Perch 4lb 2oz (!) and a small dace. Started at a favoured flood slack which was surprisingly devoid of fish. So shifted off downstream to show Paul and Rusty how its done! However, the first hour and a half or so was bite-less and it looked like I'd be joining the blankers club. 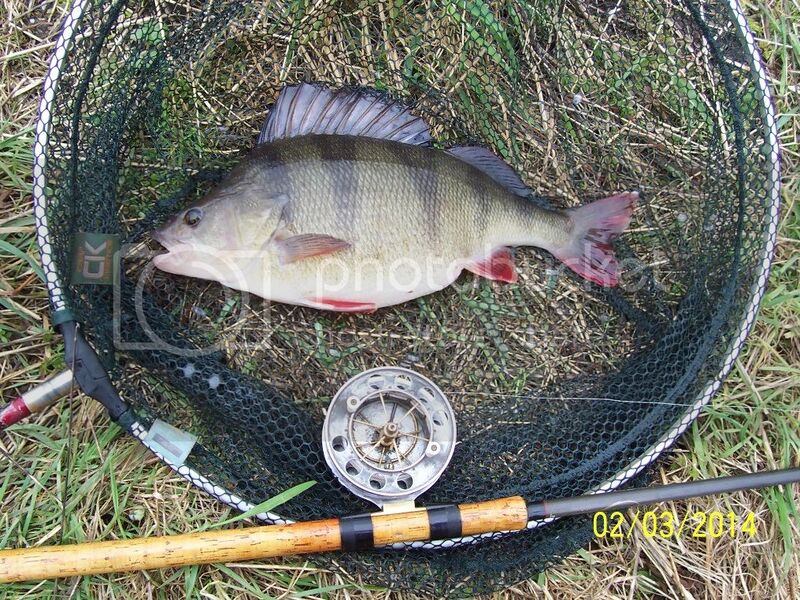 There then followed a 45 minute spell where I had all 4 fish - topped off by my 3rd ever 4lb perch - yippee! All fish on trotted maggot. Had planned to stay a little longer but with the wind and rain picking up I decided to quit while I was ahead! I had the same thought when I slipped the net under this beauty. Was a bit taken aback as I thought I was playing another chub until I got it to the surface. Still not as satisfying as my first ever 4 last Feb - at least that was caught by design - the 2 this season have had a certain element of flukeyness about them!! !